If you just have received a Thingsquare IoT starter kit or have built your own, this is how to get started with it. 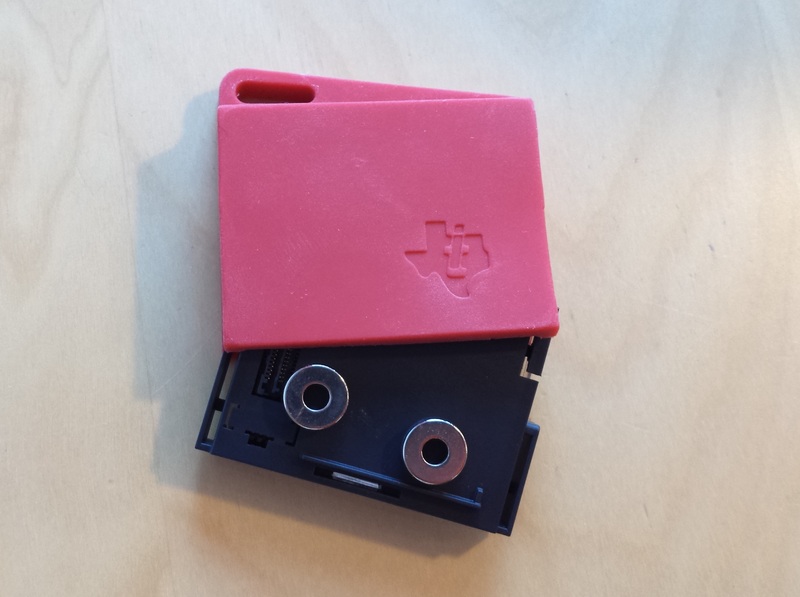 The sensortags come with a small plastic battery cover. Remove the cover to turn on the sensortag. 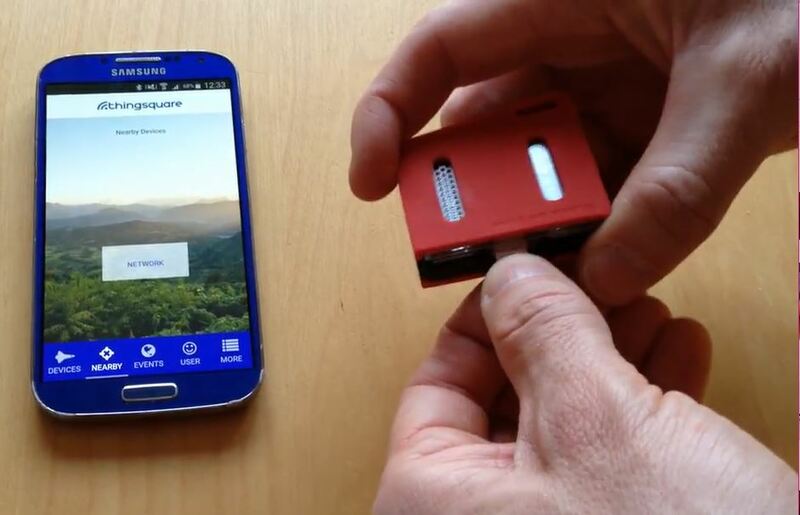 Once the battery tab is removed, the sensortag will appear in the Thingsquare app. Remove the battery tabs from all the sensortags. The access point establishes the wireless mesh network that the sensortags use to report their sensor data and provides remote access via the backend. To start the access point, first connect the Ethernet cable to your WiFi router. Then connect the USB power cable to the USB charger. The LEDs on the access point will start blinking. Wait until the green LED starts to shine with a steady light. This indicates that the access point is up and running and connected to the backend. Place one of the sensortags near the phone, so that they appear in the app. In the app, tap the sensortag that appear in the list of nearby devices. Tap the `Remote` button to enable remote access for this sensortag. Repeat this process for all sensortags. Now all sensortags will be available in the smartphone app, wherever you are! Push notifications let you get immediately notified when things happen to your devices. To test the system, we set up a notification for when the button is pushed for one of the sensortags. To set up a push notification, tap the `Notifications` button in the app. Then tap the `Button was pressed` button in the list of available notifications. Now test this notification by pushing the button. A push notification should appear in the app. Congratulations, you now have your sensortag IoT starter kit up and running! Place your sensortags in a location that you want to monitor and you will always have access to them via the Thingsquare app. How do you know if a specific location is in range of the wireless mesh network? The Thingsquare system provides a convenient way to know if a sensortag is able to deliver its data to the backend system – just push the button. This will cause all sensors to take a readout and send the data to the backend. If the backend receives the data, the sensortag turns on its green LED to indicate this. So if the green LED turns on, the sensortag is in range of its wireless mesh network. 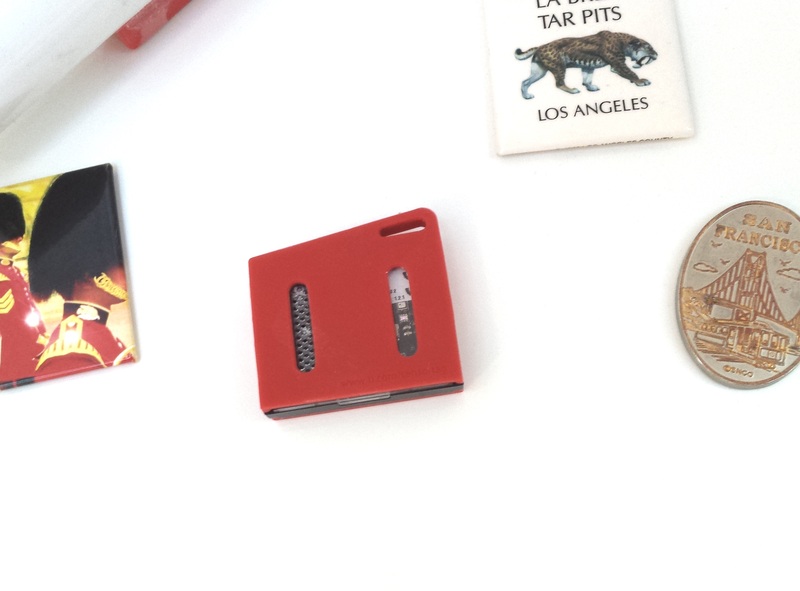 And finally a tip to make it easy to attach the sensortag to interesting places: place one or two magnets under the red cover. You can then attach your sensortag to any metal surface!